Years ago, I read a rhyme used to help stake-and-strand weavers learn their craft. On a solo drive to a basketry conference in Michigan, I expanded that rhyme into an ode, recitations of which were so hammy that I’m glad there were no cell phone cameras back then. I found that poem again while cleaning last winter. 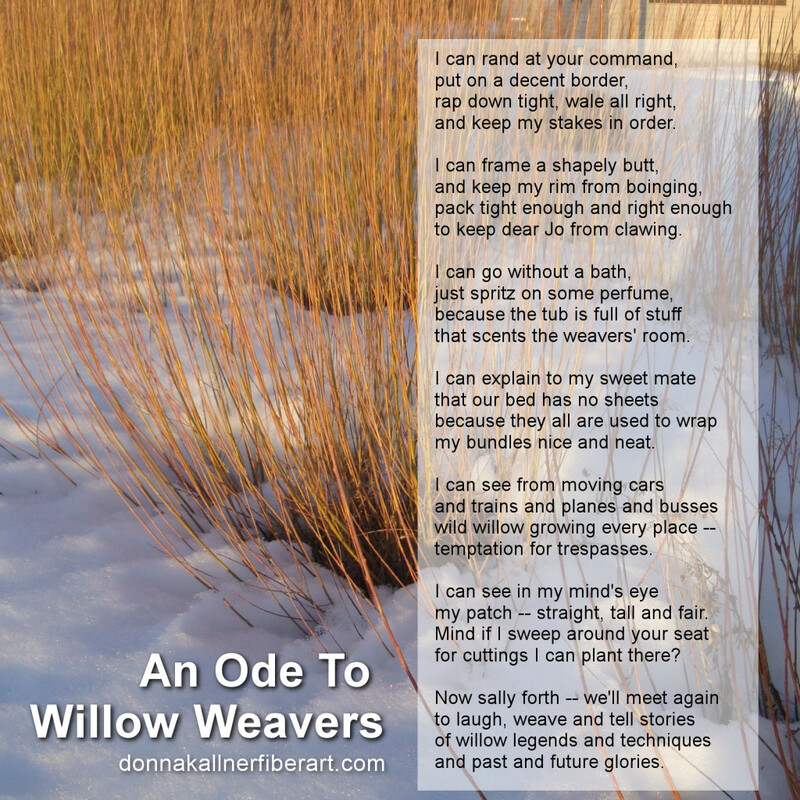 Since April is Poetry Month, I give you An Ode To Willow Weavers. Feel free to post your own hammy YouTube video! Think of harvest traditions where friends and family would come together to shuck corn, shock wheat, bale hay and visit while getting a job done. That’s what this week was like. 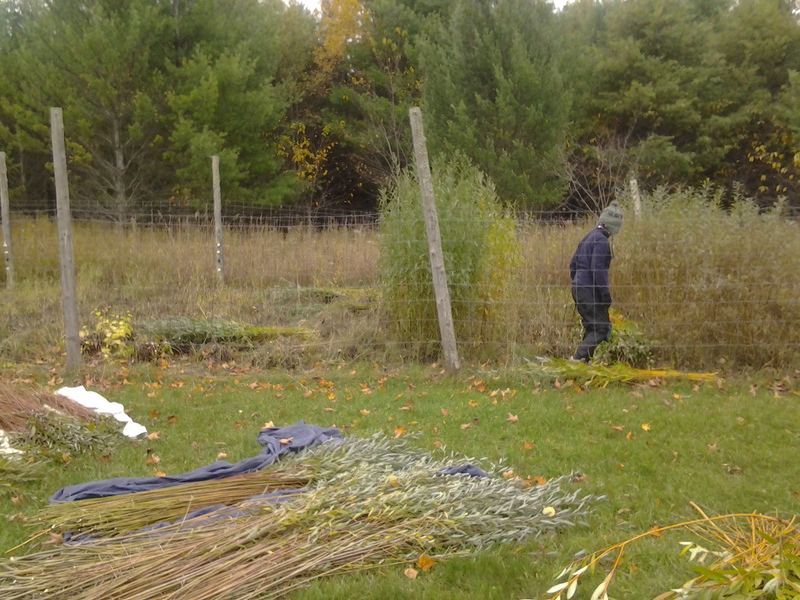 On Sunday, I headed to Washington Island to meet some friends and get the willow bed cut at Sievers. 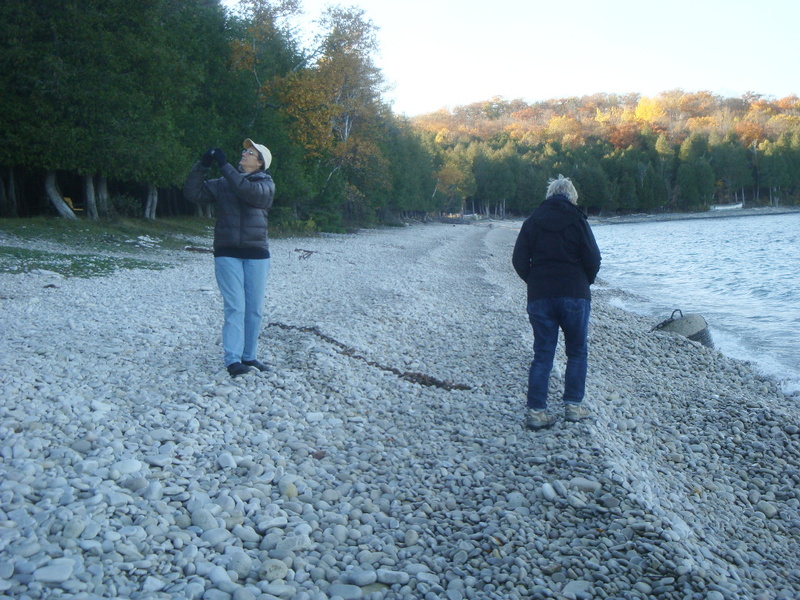 Being surrounded by the waters of Lake Michigan makes conditions on Washington Island generally milder than where I live (pretty much due west, but an hour inland). So the island’s first hard frost came just before we arrived, and there were still leaves on the willow. 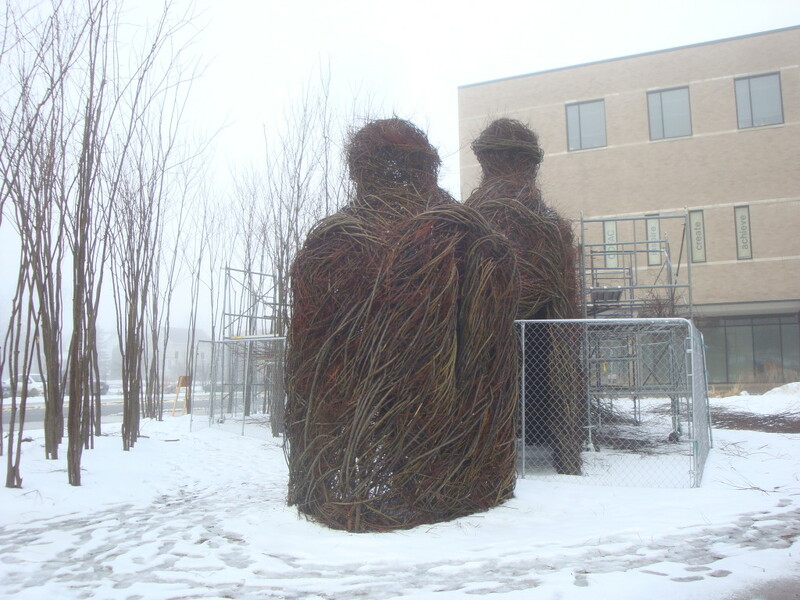 Normally, willow growers wait for leaves to fall before harvesting. But everyone knew I would be happy to have the leaves for natural dye. On Monday we got the patch cut and a good start on stripping leaves (and had a lovely soup supper with the rag rug weaving class). 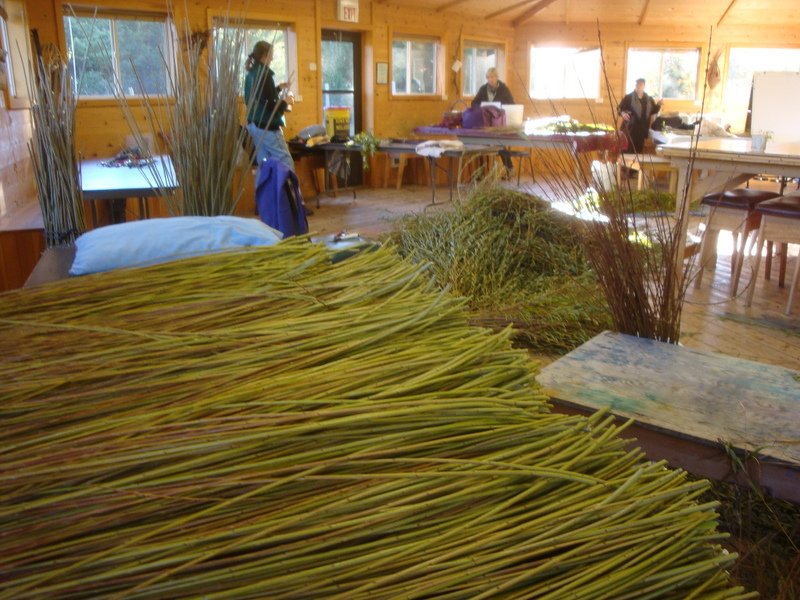 So on Tuesday, we spent a little time enjoying the island as well as processing the willow. We walked at The Ridges before we started working that day. At lunch we took some time to shop at Sievers. Lee bought a beautiful batik scarf made by my friend Anne Landre. 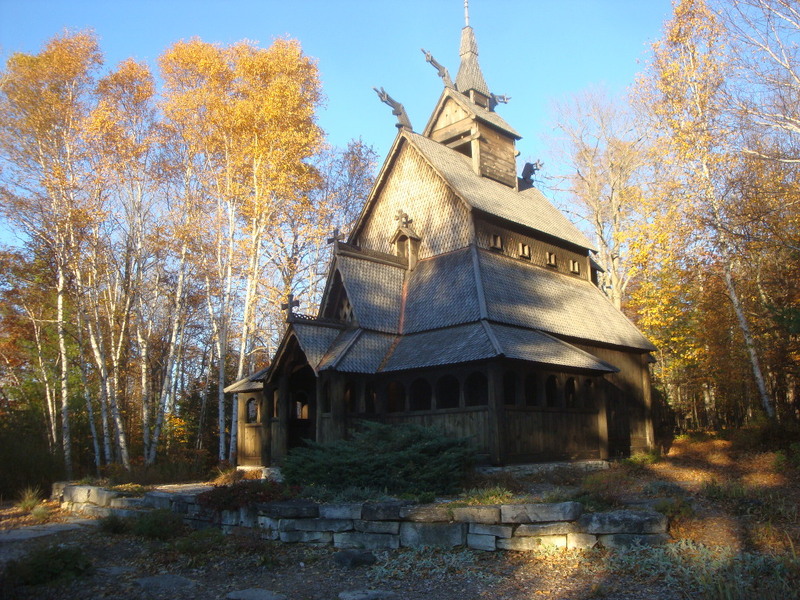 In the afternoon we quit early to visit Schoolhouse Beach and the Stavkirke. 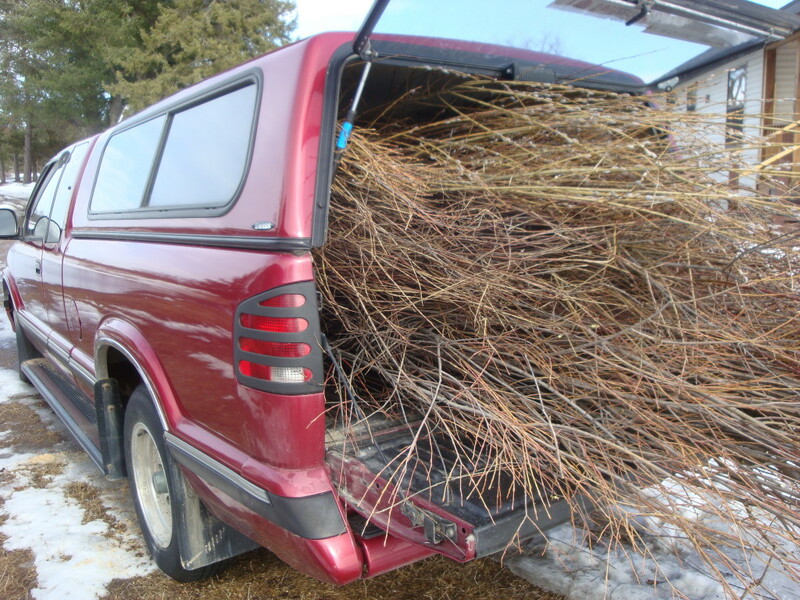 After burgers at Karly’s and a short stop at Nelsen’s Hall, we headed back to the studio to finish stripping leaves and sorting willow. On Wednesday, I got home with plenty of material for the cold-brewed willow-leaf natural dye like I made last winter. It’s now in buckets outside my studio. Other leaves are drying inside. 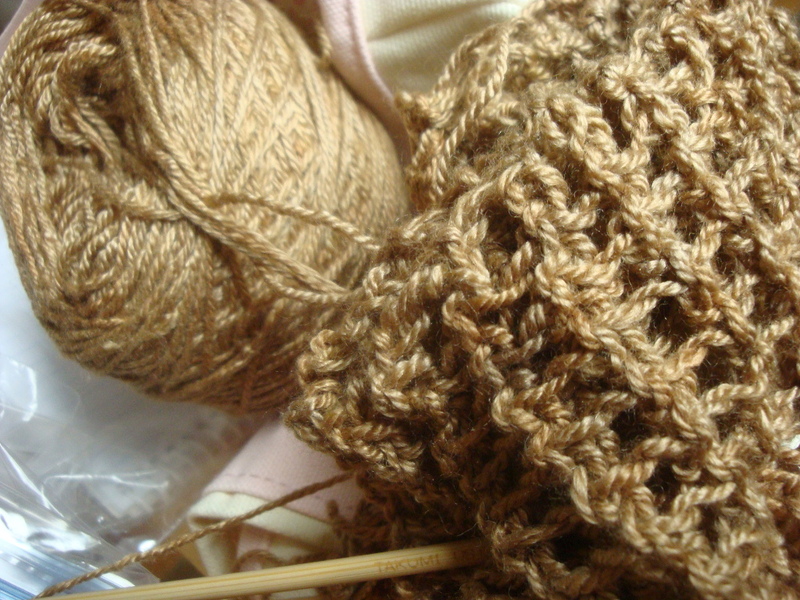 The merino wool-silk yarn in this knitting WIP was dyed with that willow leaf cold brew. It was a whirlwind trip, but at the end it’s nice to see a job well done and to have had a chance to spend time working with friends at a special place like Sievers. 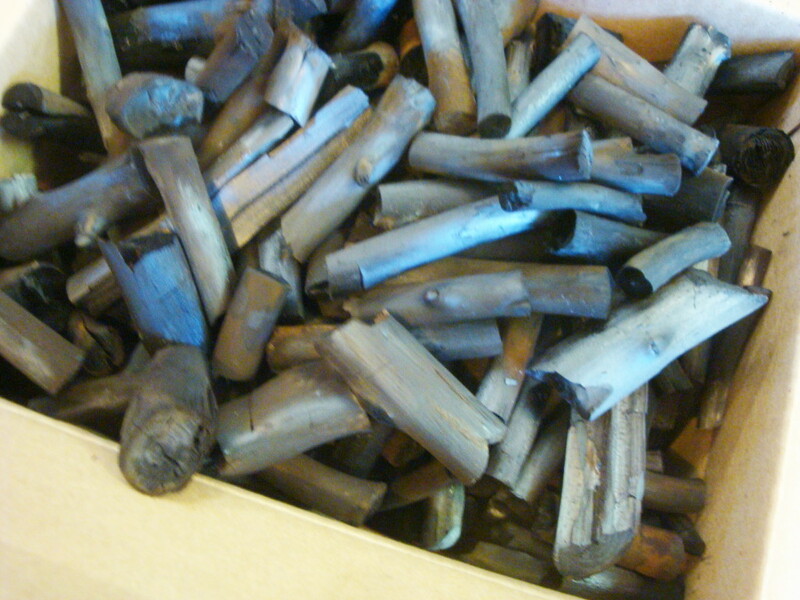 We burned our willow charcoal last weekend, and today I started sorting and packaging it. This morning, I got distracted and did a little doodling. This afternoon, I stayed on task and got some of the charcoal packaged up to sell at the farmers market on Saturday. Right now, my studio is such a mess I can’t get to my photo set-up. I’d like to sell gift packs on Etsy, but need to clean before I can photograph for the listing. In the meantime, I started another cleaning project, which got interrupted. You see where this is going, right? 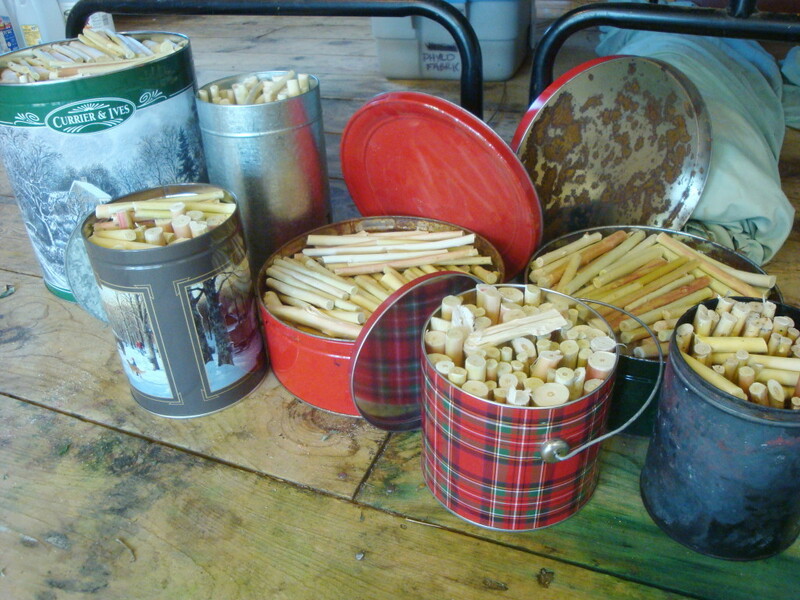 One more seasonal task done: I’ve sorted the peeled willow sticks left after harvesting bark for dyeing. Bill will use some in rustic furniture. 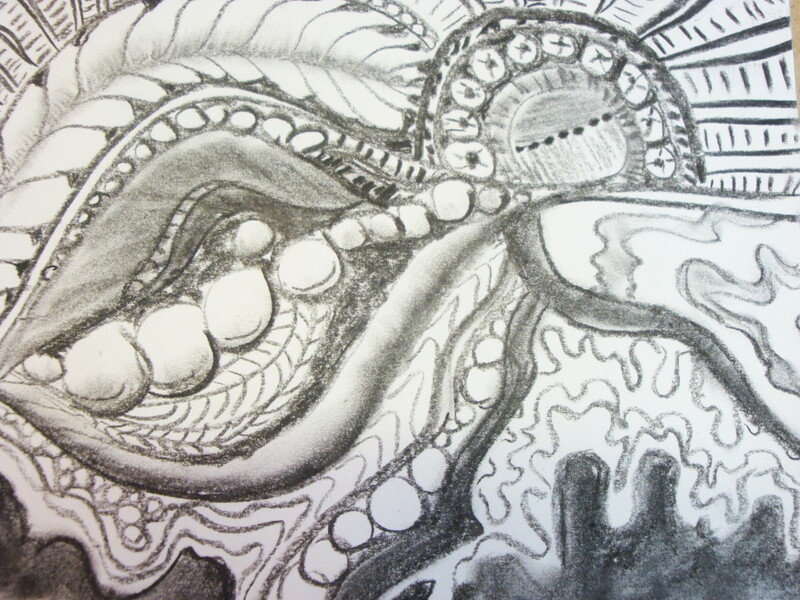 The rest I cut up to become artist charcoal for drawing. Those sticks dry quickly with the bark off. I got them cut up earlier this week. My bright idea of using a Sawzall was a complete bust. Every blade I tried either chewed them up because of the vibration, or took forever to cut through. In the end, I cut them all with the big loppers, same as always. I’ve got them all packed into tins for burning. Over the holiday, we’ll close those containers, wire the lids on, and put them in the campfire. Willow bark harvest has been on top of my to-do list since I got back from teaching in Kansas. Today should be my last day of harvest. The bark still slips easily on larger pieces, but it’s starting to tighten up on the smaller stuff. To every thing, there is a season. 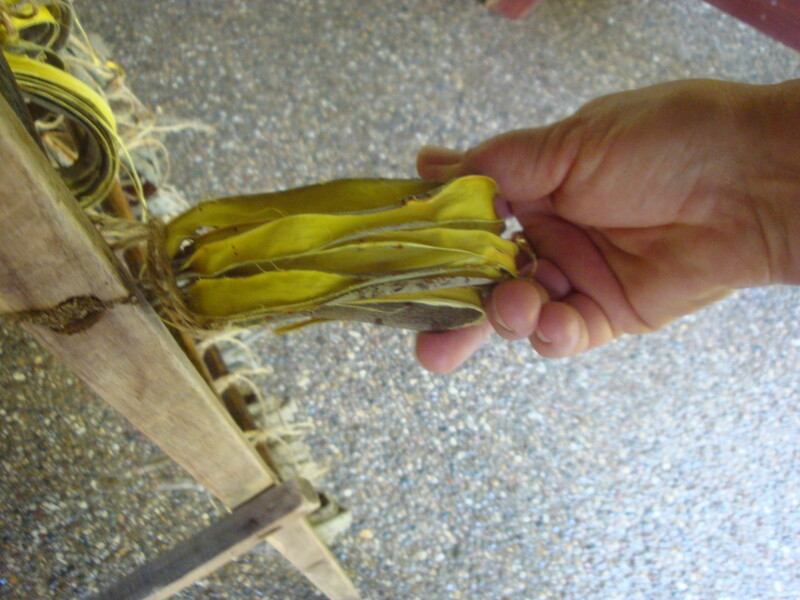 Most of the peeled bark is bundled and hung to dry. That makes it easy to prepare for a large group of students in a natural dye class. But there’s a limit to how much space I have for hanging bundles. So I’ve also been rolling strips to store in bins once they’re dry. Actually, it’s not just the bark I harvest at this time of year. 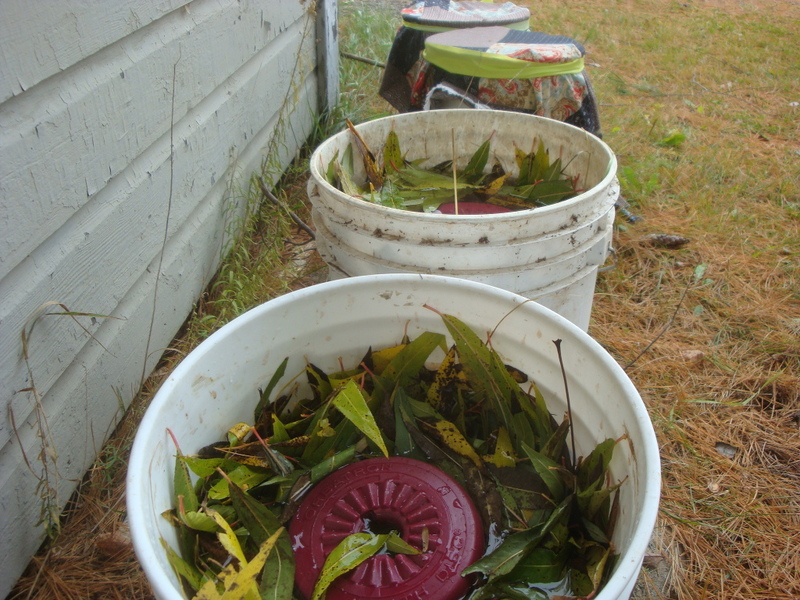 I strip and freeze or dry the leaves for immersion dyebaths. The peeled wood goes into Bill’s rustic furniture, or we burn it to make artist charcoal. 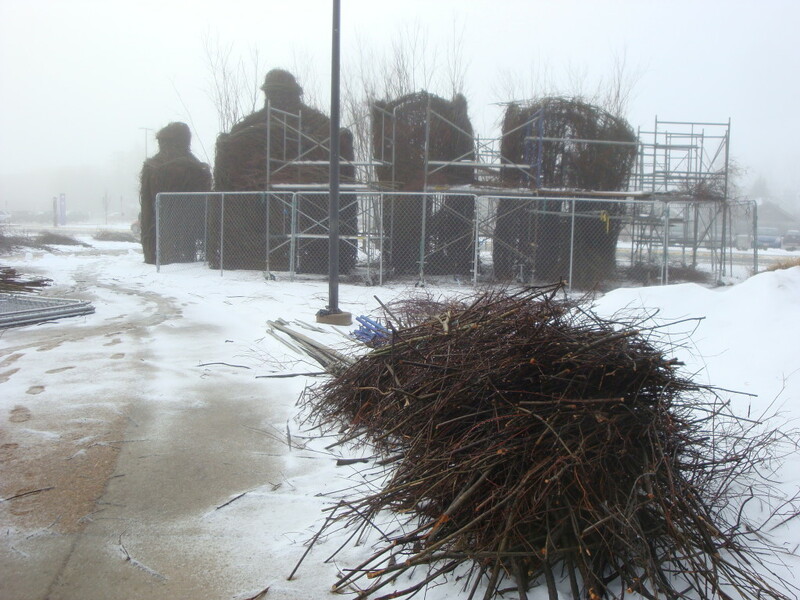 Whatever is left over goes on a brush pile that shelters wildlife. There’s a gentle rhythm to the work: I cut what I can carry in one load and haul it to my studio. 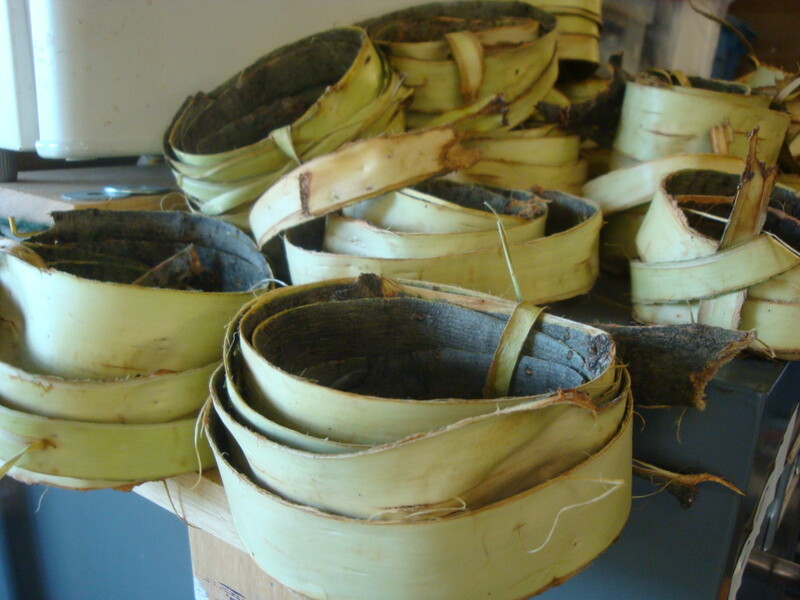 There, I strip leaves and bag them for the freezer, peel bark and bundle or roll it, and move the bark to an airy place to dry. The peeled wood goes into two stacks — saved for furniture, or saved for burning. Today I’ll cut some of the burn pile into lengths and get it ready to become charcoal. And finish a great audiobook, The Boys In The Boat. It’s not Wednesday any longer, but here’s what was drying yesterday when I stopped to visit a friend. I had a short but lovely visit with Jo Campbell-Amsler yesterday as I passed through Iowa on my way to Kansas for the Midwest Weavers Conference. 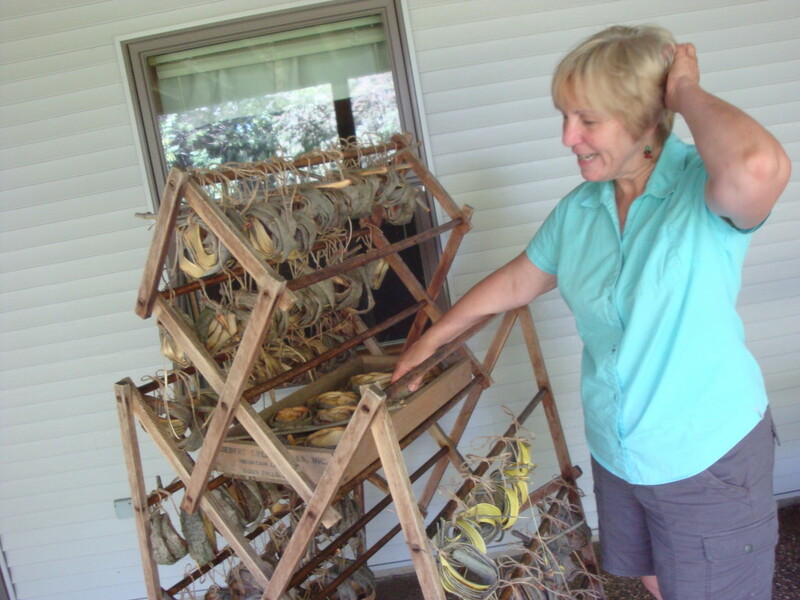 Jo has been harvesting willow bark for baskets, and is drying it in neat rolls on an old laundry rack. My willow bark harvest for natural dyeing will begin as soon as I get home. Along with the bark, I’ll be saving leaves to freeze, also for dyeing. None of that will look nearly as tidy and beautiful as what I saw at Jo’s! 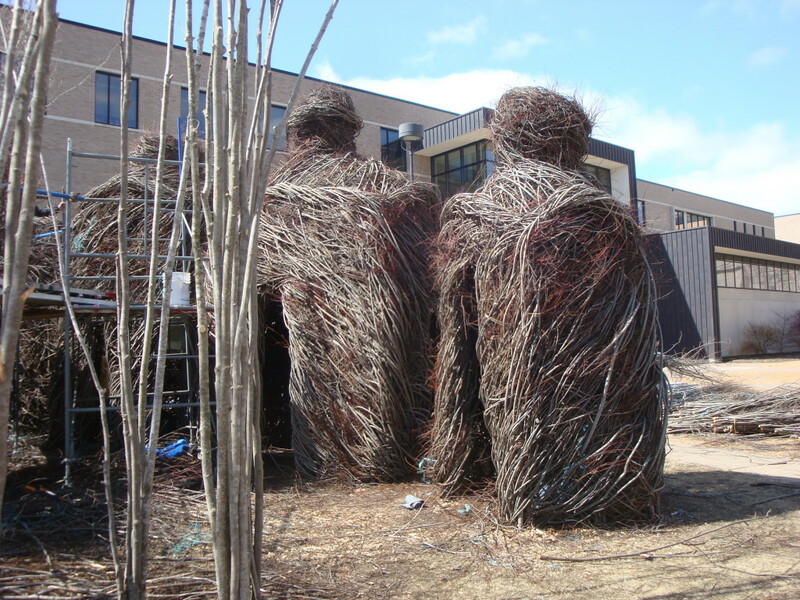 Blue skies, mild temps, dry feet and gloves — my second day volunteering on the Patrick Dougherty installation at the University of Wisconsin at Stevens Point could not have been more perfect. With no ice on the decking today, I worked from scaffolding. Between what I learned yesterday and having willow from home, I felt like I had better control of the material. This slit window is on the outside of one of the structures nearest the sidewalk. There are doorways on two walls opposite the window. My task was to carry the line element around three sides of the structure, integrating it with one of the doorways. It’s challenging to “see” around corners and through scaffolding. I’m sure that would improve with more experience. But I took the safe route and asked Patrick to check my work every hour or so to make sure my interpretation matched his vision, which ties all the structures together. With a bit more fill just a little higher than I can reach, I think this structure will be getting its cap before long. 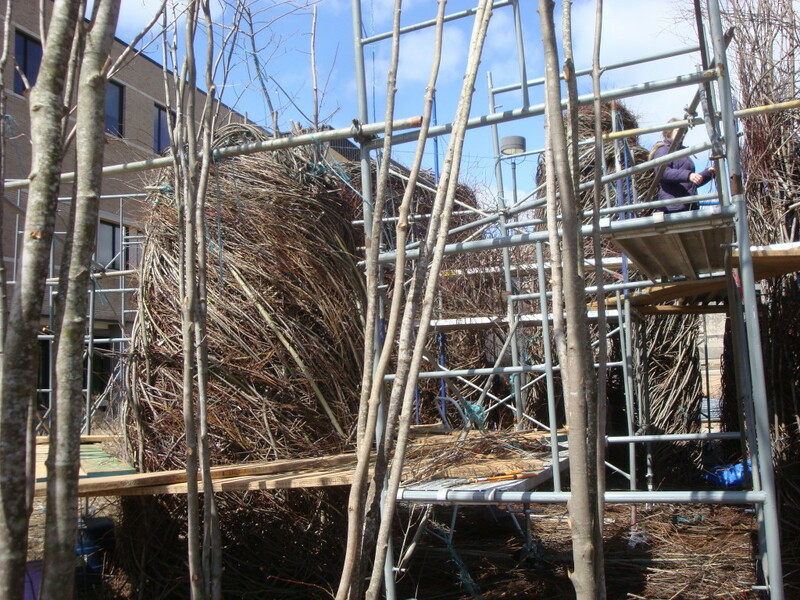 A group started working on another of the structures today. Others were doing fill work inside structures. And one person was doing the important but unsung work of preparing materials for others to use. It was a delight to see a familiar face among the volunteer crew — basketmaker Elise Thornton, who I know from a class at Sievers. 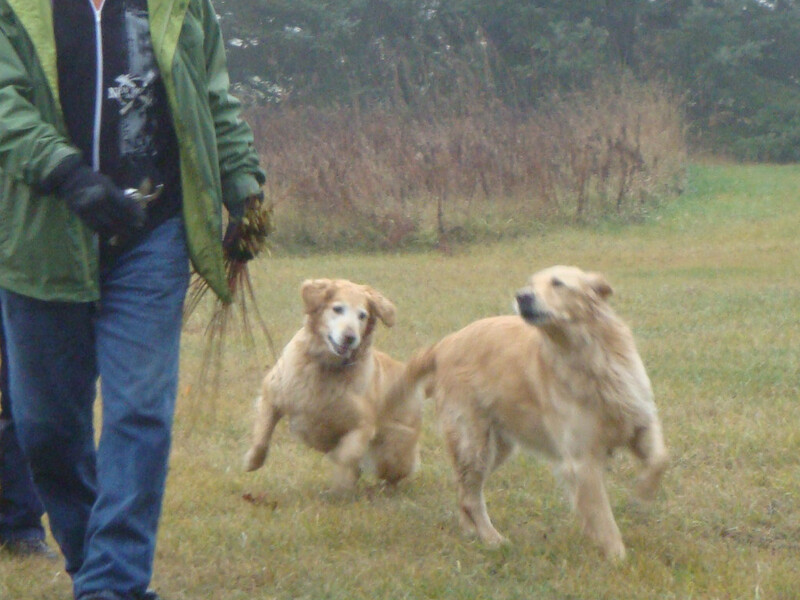 She helped me pull the load of willow I hauled over there out of the bed of the pickup truck first thing this morning. It wasn’t gone but was greatly diminished by the time I left. Back at home, the path I stomped down through the snow yesterday so I could carry cut willow to the truck is still there. But there was a patch of dry ground where yesterday I was parked in slush and mud. 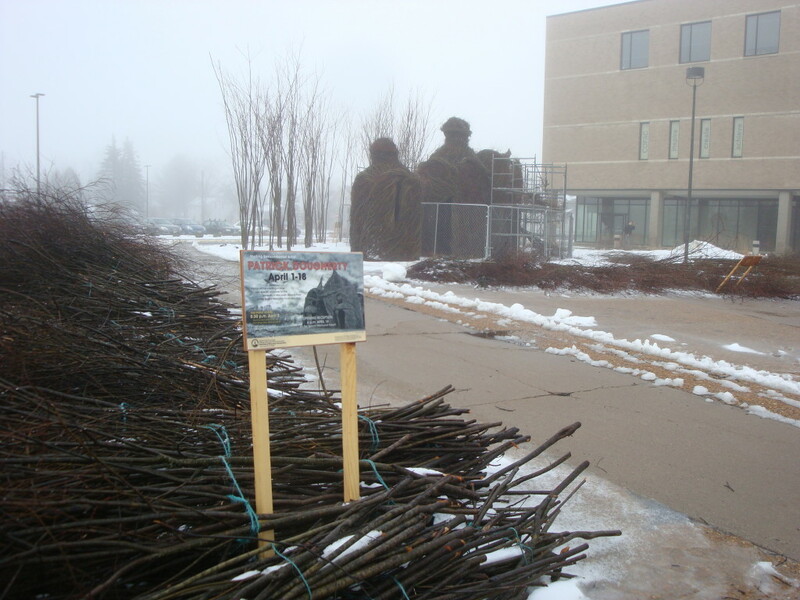 I hope that bodes well for the work crew at Stevens Point, who will be cutting more willow tomorrow. They’ve had some really challenging conditions on this installation, and deserve a day where you can see a big pile of progress. No picture of my favorite moment of the day (naturally): The grandparents of one of the student volunteers came to see the work. It’s so much fun to see how people interact with the work in progress! Tomorrow, back to my own work, and to reflecting on some things I learned from volunteering on the Dougherty installation. Too late: That’s what usually happens. 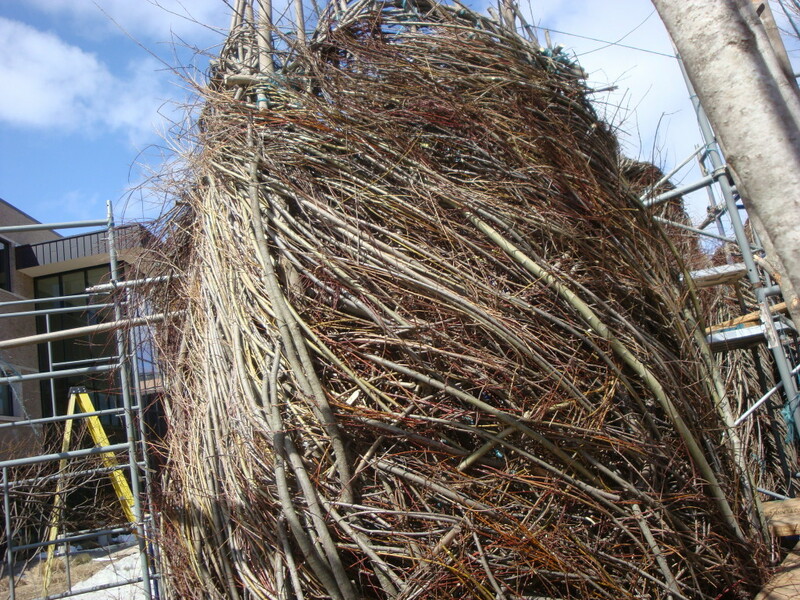 Twice in recent years, sculptor Patrick Doughterty has done environmental installations built of sticks and willow within a couple of hours from where I live. And twice before, I found out too late to volunteer. Not this time. 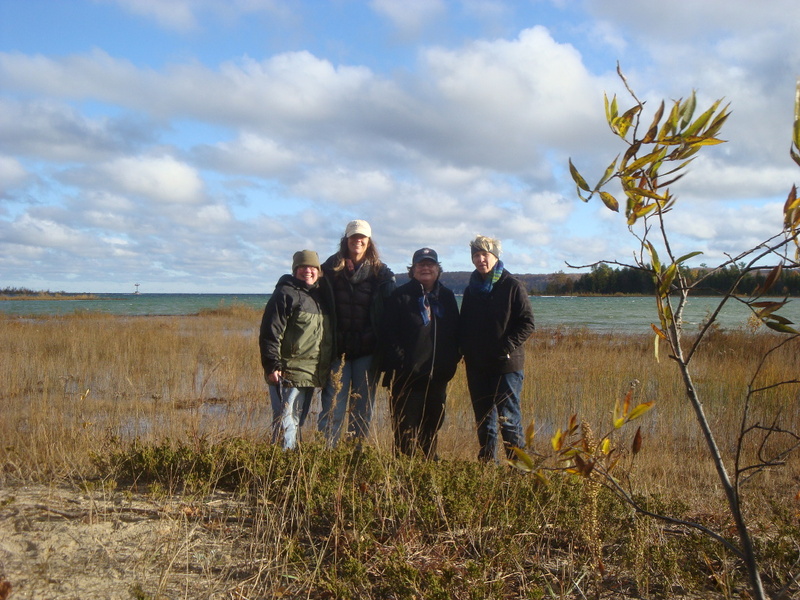 On April 4, I caught the tail end of a story on the late local news that sent me to the University of Wisconsin-Stevens Point web site, looking for how to volunteer. And by the next day, I had signed up to work. Today was my first day. I took a few pictures before the rest of the crew arrived. Then didn’t think about reaching for the camera again. No time. I’ll try to take more pictures tomorrow without the fencing panels. In the meantime, take my word that the sun burned off the fog and it was a lovely day to be working outside. 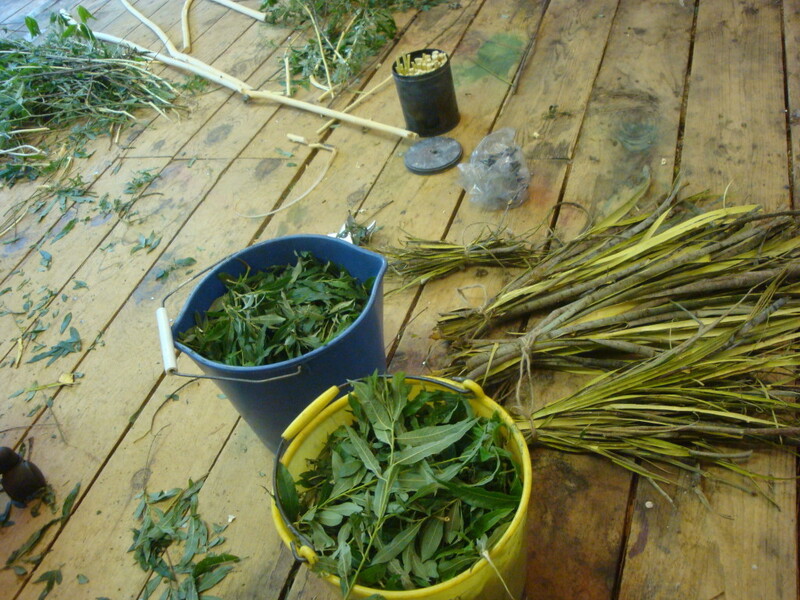 After my shift, I came home and cut some willow to take with me tomorrow to contribute to the cause. I’m grateful to have enough flexibility in my schedule to take advantage of an opportunity like this. Because in addition to getting to see the work in progress and learn something about how structures like this are constructed, there are other unexpected pleasures in this kind of work. Like weaving while talking with a young artist about her interest in the mummies and textiles of the Tarim Basin, and hearing her excitement about ancient plaids. And the young man who stopped to thank people working on the installation for adding beauty to the world. You know how it is when you’ve “always” done things a certain way. For 10 years or so, I’ve cut my willow in the spring. It was timing that worked for various storage reasons. But I’m going to be leading a trip to Ireland next April. So I needed to get my harvest done this fall. Last summer, I was talking with a friend about all this, and we hatched a plan. Her youngest is out of school and last spring she retired from coaching high school athletics. With just one full-time job now, she’ll have more time to make baskets again. But her willow patch is small, and it takes a few years for new beds to become really productive. 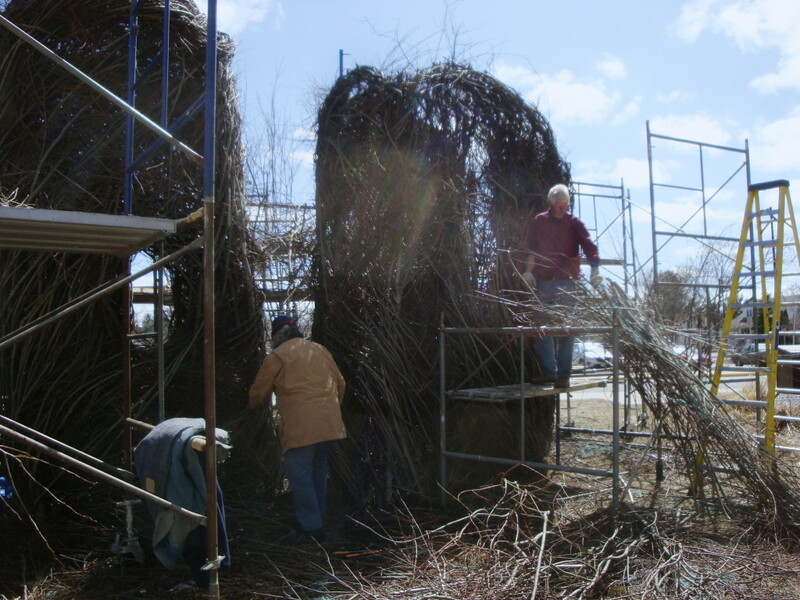 This weekend, she and her husband came from Michigan to cut willow. With four of us cutting, a job that usually takes me about a week was done in less than a day. With two extra pairs of hands and an extra dog to keep Scout entertained, a job I usually enjoy was more like a party. Just imagine a party where instead of dancing, people do hamstring stretches. I kept as much willow as I’ll need, and sent the rest home with Carol. My guess is she’ll have 8 to 12 hours of sorting and bundling to do, but enough willow on hand now that she can feel free to explore a lot of the ideas she’s been working on in her head. And my willow beds are ready for the next growing season. At the end of the day, the dogs were tired and so were we. But it was a good tired. And now, let it snow! Over the years, I’ve spent a fair amount of time carefully watching hands. Hands of students. Hands of instructors. Hands of friends. 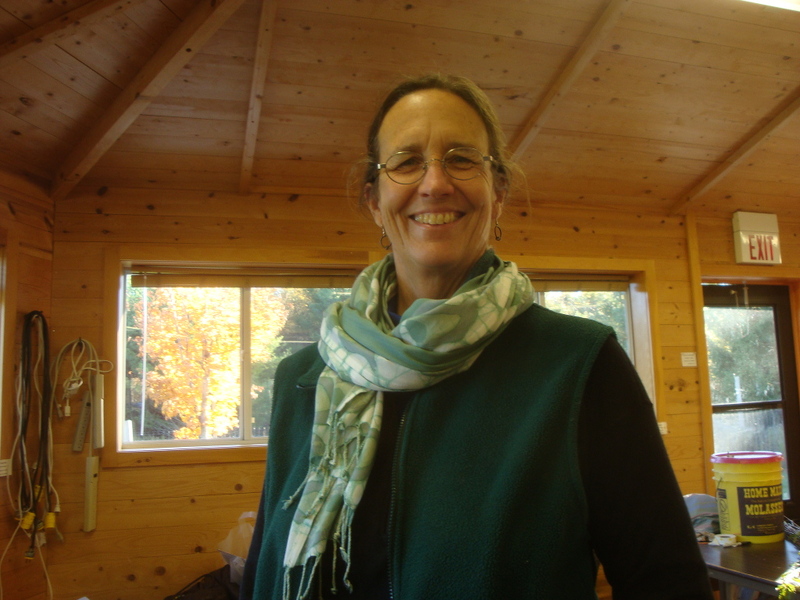 Jo Campbell-Amsler was my first basketry teacher. I’ve been watching her hands for almost 20 years. And I’ve known her mother nearly that long. 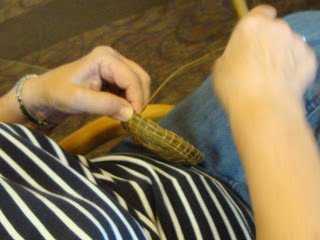 But until last week, when her mom was in my coiling class at the Willow Gathering in Decorah, I never saw how much alike their hands are. The way they hold and control their materials, their gestures — beautiful! Coilers are such a delightful group. It’s a slow, deliberate process. It takes time for things to build and then Shazaam — something wonderful happens. Quixote Coiling is my name for a class that uses whole-rod willow as the core element in vessels made with the basketmaker’s buttonhole stitch. 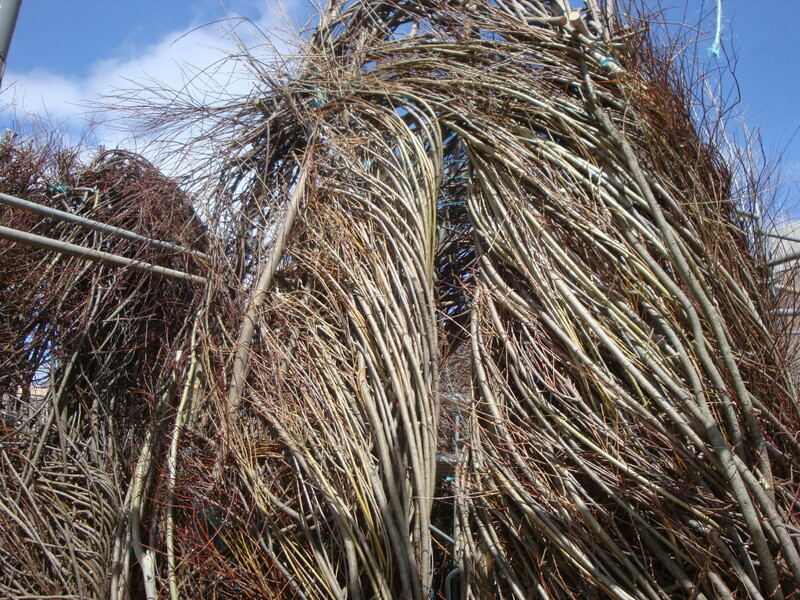 There’s a knot on each stitch, which makes this an incredibly secure structure, great for sculptural work. And students learned a cool crown knot they used to start the base and as a surface embellishment. Their hands were definitely tired at the end of the class. 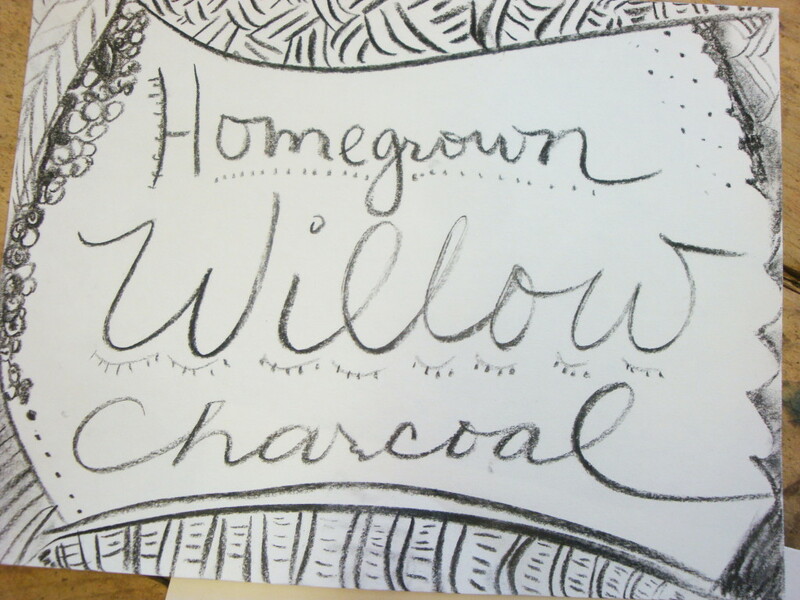 Willow is lively material. But it’s so worth the effort.